Ah summer holidays. Every day is summer in Airlie Beach. Wink wink. Looking for the best place to stay to explore the Whitsundays? Look no further…this waterfront resort is ideal. You’ll find superbly designed and fully self contained one, two, three and four bedroom apartments. All generously proportioned for you to enjoy the social living spaces and room a plenty in the bedrooms. 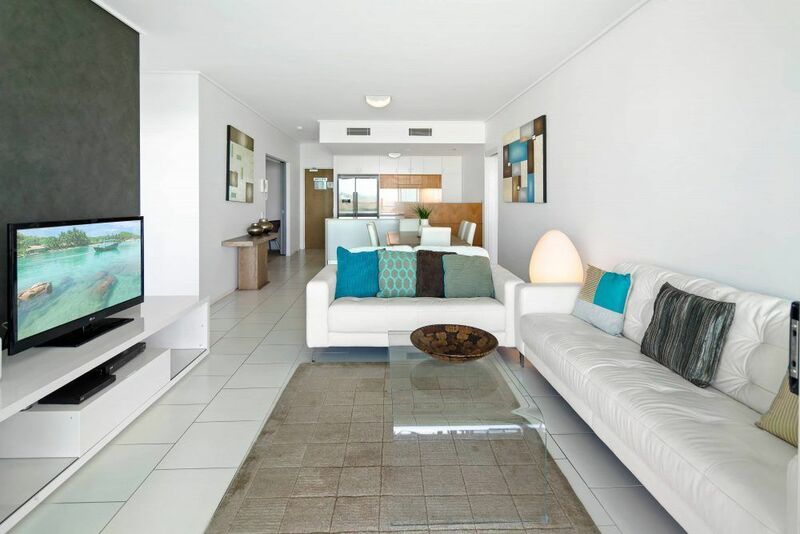 The Peninsular Airlie Beach is one of the few properties in Airlie Beach that can boast a genuine five star accommodation rating. Just book your holiday and experience the luxury of these apartments that sit right on the waters edge of Shingley Drive, Whisper Bay. Watch the sea life swim by. 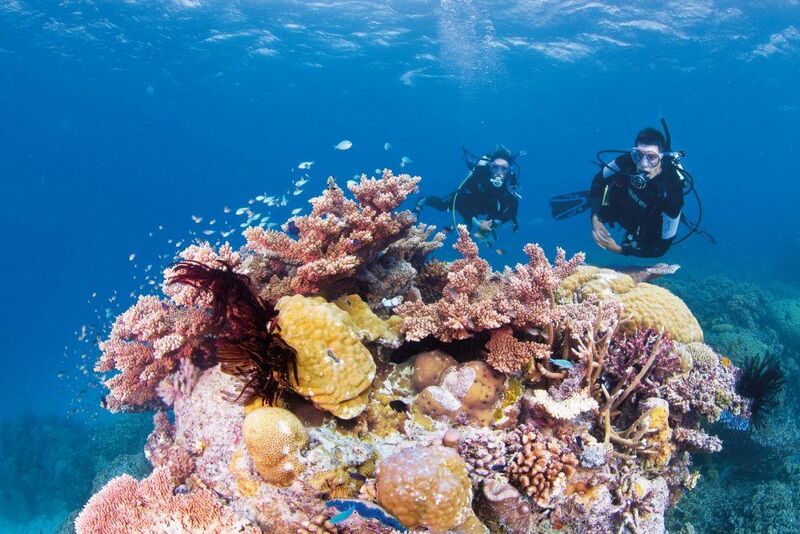 You’ll be amazed at the diversity of sea life right under your nose. Sea turtles grazing on the rocks, stingrays languidly gliding past, and schools of tropical fish, not to mention the resident Groper who can often be seen swimming about the marina. 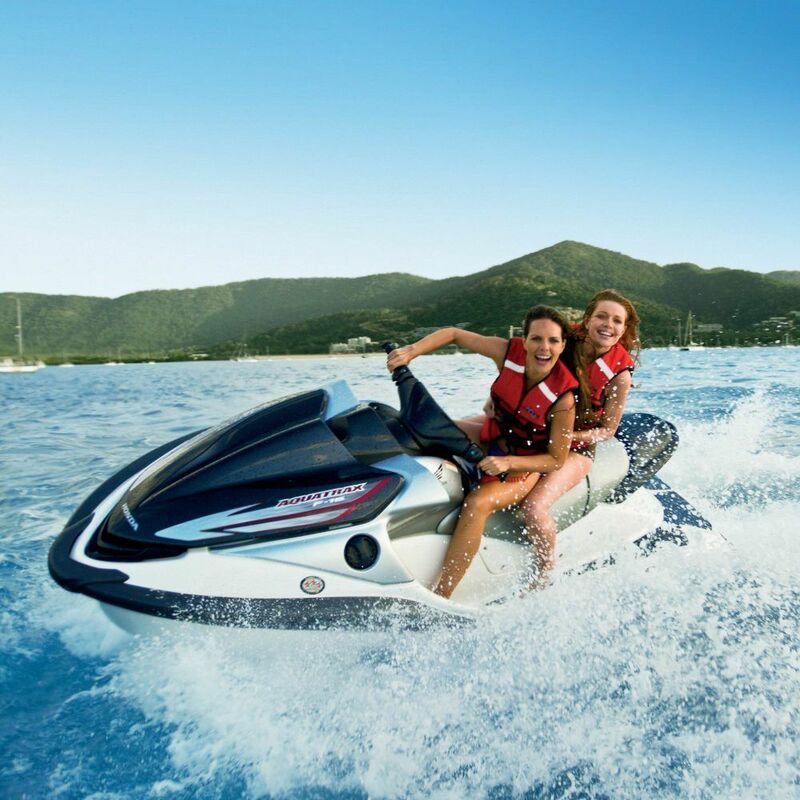 There is no shortage of things to do in Airlie Beach and on the waters in and around the Whitsundays and the Great Barrier Reef. It just depends on how big your appetite for adventure is. 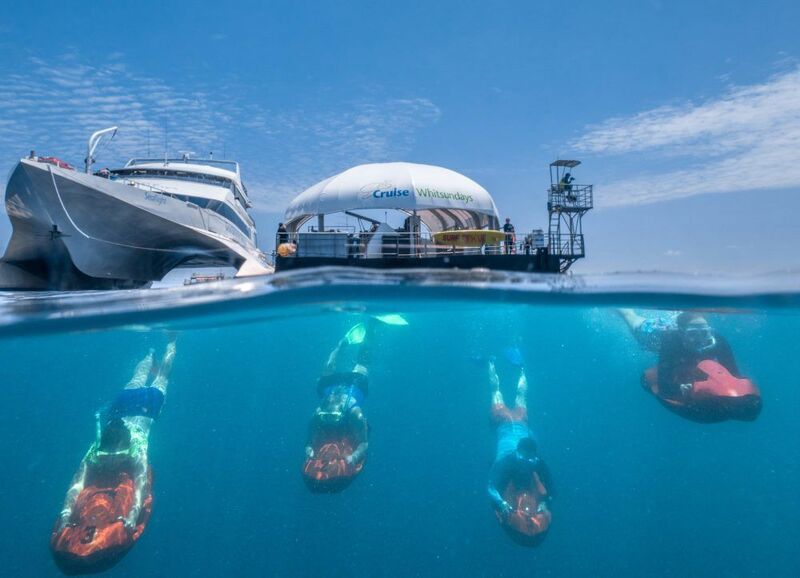 For an ethical and no cost experience to the heart of the Whitsundays there’s the Eco Barge Clean Seas Inc. Get onboard and help them out picking up marine debris on the beaches and coastlines of the 74 islands of the Whitsundays. You’ll gain access to some of the more exotic and isolated beaches in the Whitsunday Island group and do some good work too. 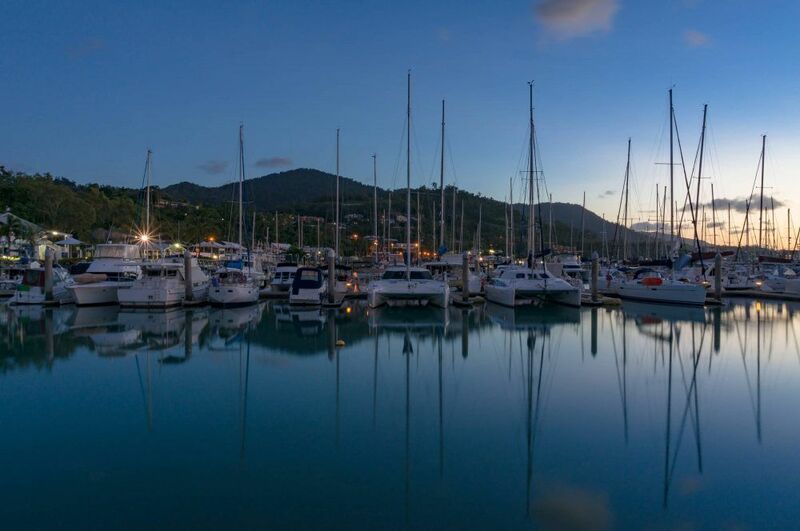 Closer to land, the Airlie Beach Lagoon is a free public park and swimming pool that is the perfect place to take the family. The grassy park next to the lagoon has BBQ facilities. After day splashing in the water park, nothing is better than a meal beside the beach. 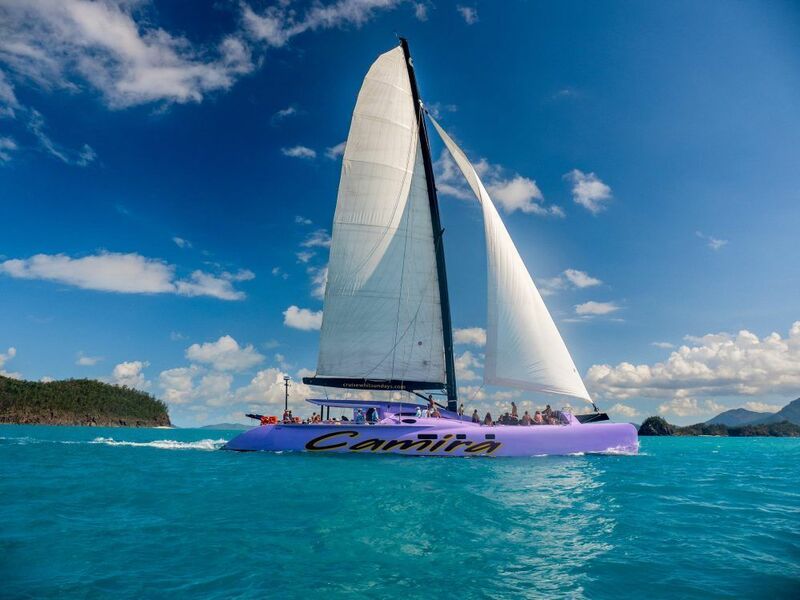 Visitors to Airlie Beach on a Saturday can prowl the Airlie Beach Markets. 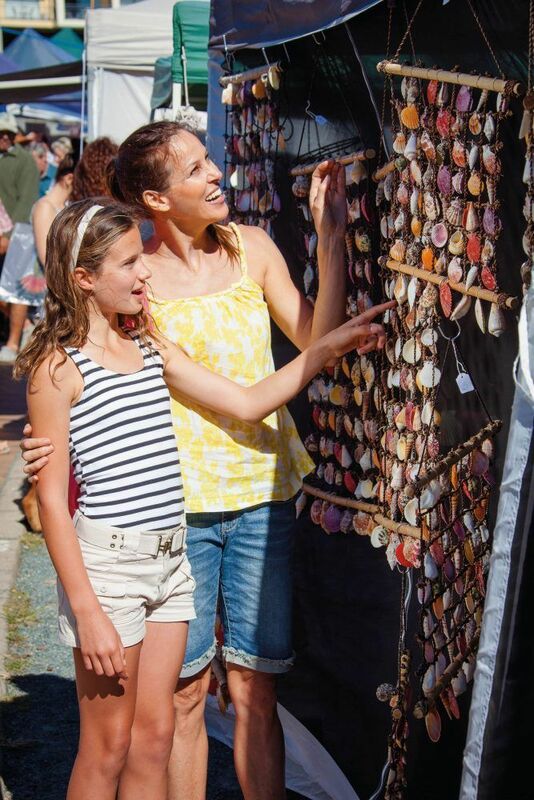 It’s a market full of unusual bric-a-brac and crafty curiosities, bound to contain the perfect souvenir of Airlie Beach. A shell chandelier perhaps. The local food is delicious. Grab a coffee and something freshly baked for breakfast, and take home a few bags of local produce. Fishing is easy too. Drop a line in Shute Harbour, you never know what you might catch. Marlin, bass, mackerel and trout are regular catches. Try the custom-made fishing pontoon in the harbour too if casting from the shore isn’t working. 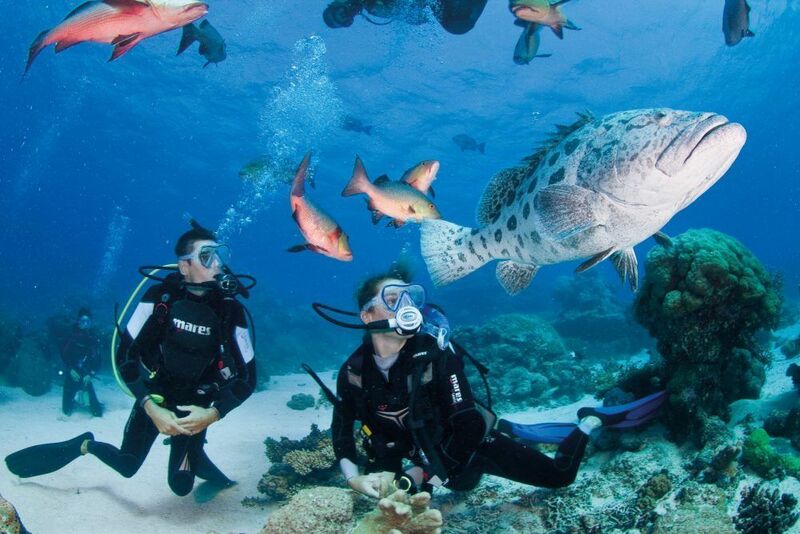 With so much to do in Airlie Beach why don’t you bring the family for a holiday to remember. This is the best place to stay to explore the Whitsundays.